FREE Gift with all NEW Loans! Do you need a fast loan or start-up money? Big Tex Finance, and our affiliated companies Quality Finance Co. and Bevco Finance, offer a variety of fast and fair loan services available to help you meet your financial needs quickly and easily. We have been here to serve the people of the El Paso area since 1991. We offer cash loans up to $1,300, and we can offer these small loans for short periods of up to one year. We are not a payday lender or a Car Title lender. We can work with you to provide the loan services you need in a friendly, professional environment. Big Tex Finance, Quality Finance Co. and Bevco Finance work with customers throughout El Paso, Texas and surrounding counties. Contact us today and ask about our free gift offer with all new loans. As the leader in El Paso quick cash loans, our staff at Quality Finance Co. would like to invite you to speak with us and see how some extra money could benefit you and meet your financial needs. Most people suffer from a lack of funds at least once in their lives. Whether you are struggling to make ends meet, or need additional money to make a purchase or take advantage of a once-in-a-lifetime opportunity, our El Paso fast cash loans can help. At Quality Finance Co., we deal exclusively with small, short-term cash loans. Here are a few details about our quick cash loans in El Paso TX. Unsecured: We offer unsecured personal loans in El Paso, which means that you don’t have to risk your assets by putting them on the line. This is common with secured loans, which puts you at risk if you are unable to pay them off. 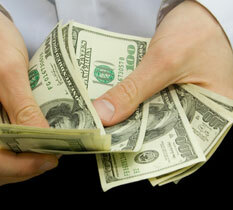 Convenient application process: We emphasize the word “quick” in El Paso quick cash loans. This is achieved through a convenient application process that will normally be very quick. You can apply over the phone or in person. Then, we let you know whether you qualify quickly, often within one hour. Competitive interest rates and terms: Signature loans in El Paso TX are competitively priced by Quality Finance Co. Please know the team here at Quality Finance Co. will work hard to provide you great service with competitive terms and rates. We have been in business since 1991 and have become known for the personal level of attention we devote to each of our clients. Our staff carries decades of experience and will be able to provide savvy insight to your questions or concerns. It is important to rely on the right lender for El Paso fast cash loans, a lender like Quality Finance Co. We also have affiliated offices in far east El Paso (Big Tex Finance), as well as on the westside (Bevco Finance).